The story in my book, The Messenger, was given to me. It unfolded behind my eyes, beneath my thoughts. It came from a time and space as real as the one in which I am living now. The story existed before I wrote it down. I didn’t create it. I did have to work hard to bring it all together into a physical book, but when I was writing it, I never knew where it was going. I never knew what was going to happen. I knew I wasn’t in control. And because something wonderful was happening, it was all right. You’d think I would remember that, and apply it to my own day-to-day life story. you’d think that by now, I’d know that something wonderful is happening, and that it’s all right if I don’t know where my story is going, or what is going to happen. It’s funny, isn’t it – as long as the unknown is happening to somebody else, it’s all right, but when the unknown is where we must abide – as we must – we choose to suffer. Wanting to know the why and when of everything is like thinking that you have to find your own dirt. But I want to know when somebody is going to buy my house, because I want to move to Sedona. Dealing with this unknown is my current assignment from the Universe. Every day, I must wake up and find a way to understand that, as my daughter says, God’s got this. Every day, now that the weather is lovely (I like the heat), I have my first cup of coffee on my back porch. In that first, lovely hour, before I can question the why of anything, it is the most beautiful place on earth. It is alive with the songs of birds, and sometimes, the sound of the wind. The trees and flowers are all growing out of the dirt, which I did not create. Something wonderful is happening. Creation is unfolding as it should, and everything is all right. 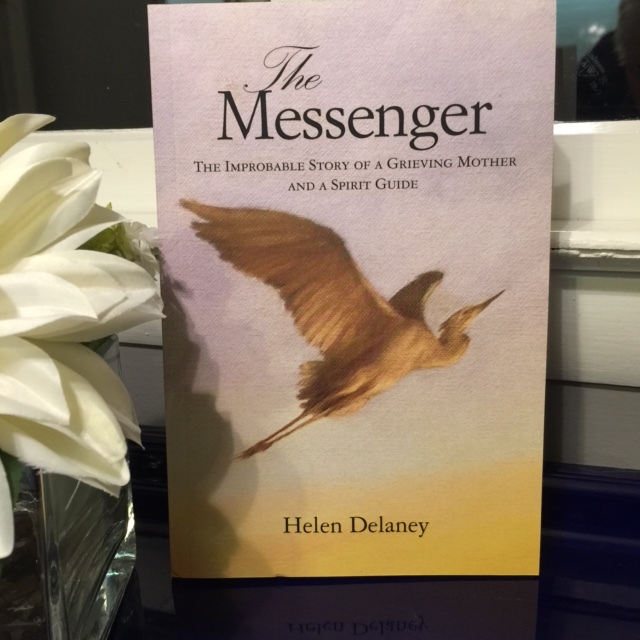 Look for The Messenger: The Improbable Story of a Grieving Mother and a Spirit Guide by Helen Delaney on www.Amazon.com.